There are lots of choices of types of cars to rent, and companies from which to rent vehicles on Maui, so why choose a jeep rental Maui? Where can you get the best price? Where should you drive your jeep to see the best sights on Maui and have the most fun adventures? This is the page with the answers to all of those questions. Maui is the best Hawaiian island. It has a lot to see and do, without being as crowded as Oahu. If you are reading this page, then you are not one of those who plans to see Maui from the back of a tour bus. So here’s what you need to know. At the bottom of this page are videos of Maui jeep adventures. Why Choose A Jeep Rental in Maui? Easy answer: jeeps are fun! Almost all of the roads on Maui are paved, so you don’t need a jeep or a four-wheel-drive vehicle on Maui, like you do on the island of Lanai where most roads are unpaved. But Maui is more fun in a jeep. The Jeep Wrangler bills itself as an off-road car, so you can feel like you are driving across open territory even when you are really on pavement. It’s the same way that a Porsche is fun even if you really never break the speed limit. Jeeps are just fun to drive. And a jeep is distinctive. Your grandmother and your young children may not know how to tell a Ford from a Chevy, but everyone knows how to recognize a jeep. Some jeeps let you take off the top to turn it into a convertible. Maui’s great weather makes it a terrific place to be driving a convertible. If you owned your own jeep you could also take off the doors, but you won’t be doing that with your rental in Maui. Are There Disadvantages To A Maui Jeep Rental? A jeep won’t hold as many people comfortably as a full-size car, so it may not be a good choice if you plan to drive around on Maui with adults in the back seat. The jeep won’t hold as much luggage either, so pack light. Then there’s the cost: you can usually rent a small or mid-sized car for less than the price of a jeep rental Maui. There are two ways to look for good prices for your jeep rental. 2. 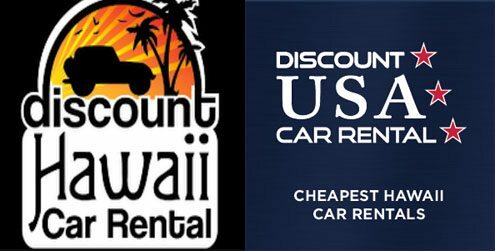 Check the Maui car rental company where I often find the best prices Discount Hawaii Car Rental. Click on the link in this paragraph and fill in OGG as the airport code for Kahului Airport on Maui, fill in your dates, and see what prices they offer you. No one car rental company consistently has the best prices. That’s why I like to use the above two methods that both search among multiple car rental companies. Prices often change, so even after you make your reservation with one of the above methods, it’s a good idea to check back a few times before your trip to Maui, to see if prices have come down. You can then book the lower rate and cancel your previous jeep rental reservation. Always have a reservation before you arrive on Maui, because prices are usually higher if you just show up at the rental counter with no reservation. If both you and your spouse plan to drive the jeep, make sure the rental you book does not charge extra for your spouse to drive too. For lots more tips about getting the best deal on a jeep or any car rental on Maui, see Maui Car Rental. Last Lava Flow – drive the road south of Wailea, over a couple miles of lava that poured out 225 years ago, to reach LaPerouse Bay with its black beach and tidepools. Parked in the gravel lot by that black bay is a good place to get a photo of yourself in your jeep rental Maui. Jeeps were invented during World War II. The army needed a small light-weight four wheel drive vehicle, so Ford and Willys made them. The origin of the name is unknown, and it is probably an urban legend that it comes from “GP” standing for General Purpose vehicle. The jeep was the forerunner of the modern SUV. After the war, Willys was bought by Kaiser, which was bought by American Motors, which was bought by Chrysler. That’s why Chrysler now owns the jeep name. For many years, Jeep made U.S. mail trucks. Buying a Jeep of your own can get expensive, so renting one in Maui is a way to enjoy it without having to buy it. A new 2-door Jeep Wrangler starts at about $24,000, while a 4-door Wrangler Unlimited starts at $28,000. The Jeep Renegade and Patriot start around only $18,000, but those don’t really look like Jeeps to me. Same for the Grand Cherokee at $31,000 and up. And don’t even think about the Grand Cherokee SRT for at least $67,000. If you haven’t already reserved a place to stay on Maui, see the section of this website about Maui Hotels and Maui Condos.